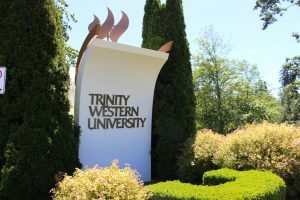 The Supreme Court of Canada decided today that it will hear Trinity Western University’s appeal of its loss in the Ontario Court of Appeal last June. Both the Ontario Divisional Court and the Ontario Court of Appeal ruled in favour of Ontario’s law society (The Law Society of Upper Canada). That law society refuses to accept any TWU law graduate that wishes to article in Ontario. Articling is the term given to the 12 month legal training a law graduate receives under the direct supervision of a senior lawyer before being eligible to be called to practice law on their own. 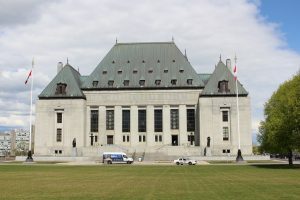 The Supreme Court also granted leave in the Law Society of British Columbia’s appeal of the BC Court of Appeal’s decision last year that ruled in favour of TWU. The British Columbia Supreme Court had also ruled in favour of TWU. Both the Nova Scotia Supreme Court and the Nova Scotia Court of Appeal ruled in favour of TWU. 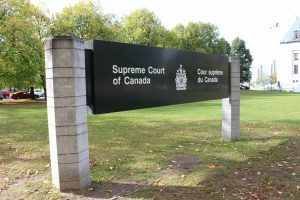 However, after its loss at the NS Court of Appeal, the Nova Scotia Barristers’ Society decided not to appeal to the Supreme Court of Canada. 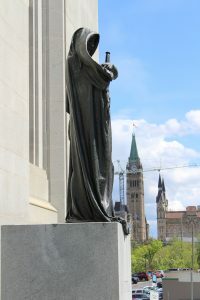 Both the Ontario and the British Columbia appeals will be heard consecutively by the Supreme Court in Ottawa, on a date yet to be determined. Trinity Western University applied in June 2012 to the Federation of the Law Societies of Canada for accreditation of its proposed law school. Opposition arose from a number of advocate groups including academics, such as the Canadian Law Deans, because of TWU’s requirement that its students sign a Community Covenant which, among other things, requires a lifestyle in harmony with its religious view of traditional heterosexual marriage. Though it is a private school, with no government funding, and though it had won a similar challenge at the Supreme Court in 2001, the opposition demanded that the school not be granted accreditation. However, in December 2013, the Federation, after much study and debate, recognized TWU’s religious freedom to be permitted to operate a law school, and given that the proposal met the academic requirements, it granted TWU accreditation. A firestorm erupted among those against TWU and pressure was brought to bear on each provincial law society not to accept the Federation’s decision. Three societies ultimately decided against accepting TWU’s law school proposal: Ontario, Nova Scotia and British Columbia. That led to TWU appealing to the courts. The courts at both levels in Nova Scotia and British Columbia ruled in favour of TWU recognizing its right to religious accommodation under the Charter. However, both courts in Ontario ruled against TWU, citing its religious practice on marriage as being discriminatory against LGBT students. For those of us in the religious community this case has been something that we had long suspected would happen as the sexual equality rights campaign becomes more focused on those religious communities that maintain their traditional sexual mores. We are now entering a time where even private religious communities, in their own religious organizations, are being challenged for their “discriminatory religious beliefs.” Even though our organizations are “private” in that they are run and operated by religious communities, those who do not accept our right to so operate have labeled our enterprises (such as running schools and universities) as “public” because we have to be publicly accredited. This is a total re-imagining of the concept of religious freedom that we have enjoyed in Canada since its founding. It is a revolutionary position. In the coming weeks Canadian Council of Christian Charities will be seeking leave to intervene in these two cases. We will keep you informed how things work out. Yes we are on the last leg of a very long journey. If TWU is successful this time around, which I certainly think they ought to be, I hope that if they want to start another degree they will not have to go through this whole process again!